iPod touch 7 With Face ID Capabilities Discovered In IOS 11 GM Code? Apple’s leaked iOS 11 GM apparently makes references to a new iPod touch 7 model labelled “iPod8,1” suggesting that the Cupertino-based company is planning on refreshing the touch-screen music player with a seventh-generation release that will see it fall in line with iPhone 8 and iPhone X.
Apple has been putting its iPod lineup through major changes recently. Unfortunately for users who may be interested in this type of hardware, the changes haven’t involved new and updated versions, but rather a discontinuation of the shuffle and nano range. 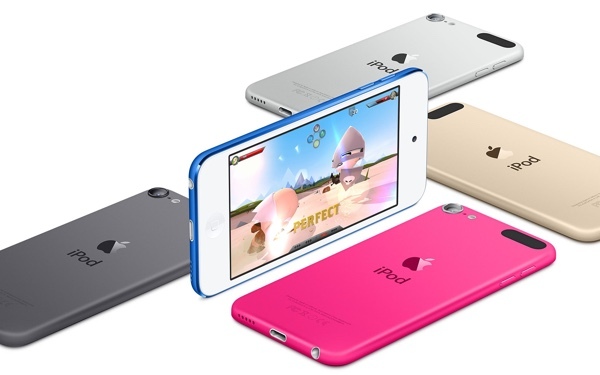 The current iPod touch lineup is sitting with the 4-inch sixth-generation model, but even that model hasn’t really been updated significantly since 2015. The time seems right for a seventh-generation iPod touch to make it to market, but the contentious area is whether or not it will come with Face ID functionality like iPhone X. 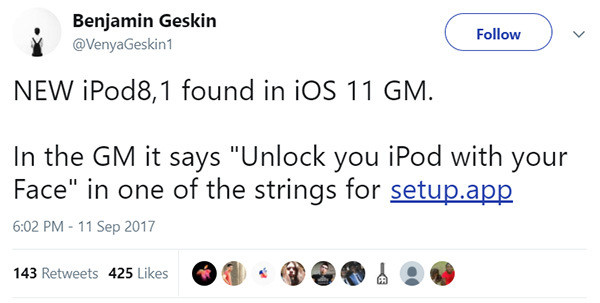 Serial leaker Benjamin Geskin made the iPod8,1 discovery in the leaked iOS 11 GM, which also includes text strings within the accompanying Setup.app, stipulating that users can “Unlock your iPod with your Face.” Considering what we now know about Face ID on iPhone X, this might suggest that Apple will be introducing similar functionality in future for its refreshed iPod touch model. But considering the fact that Face ID will be one of the most advanced and flagship feature of the new iPhone, it may not be coming to iPod touch this soon as Geskin himself is also of the belief that Apple is simply future-proofing its code and wouldn’t actually implement this level of facial detection in an iPod within that price bracket, and this soon to iPhone X launch. Implementing Face ID into a new iPod touch would mean that Apple would also need to include the new depth-sensing camera technology and 3D sensors to make it all possible. That’s very unlikely to happen on a budget device like iPod touch. With that said, we could see a new iPod touch 7 model with a larger display and potentially one of Apple’s A9 or A10 chips to boost performance as well as improves storage options bumping it up to 256GB. Tim Cook and his executive team are going to be taking to the stage at the Steve Jobs Theater in less than 24-hours from now where all of the unknowns will become known. The question is, can we expect to see a refreshed iPod touch at tomorrow’s event?